The very thought of oiling my hair has always been rather icky to me. Sure, I love a good hot oil massage, but hate the feeling of lukewarm oil on my scalp. Many hair oiling advocates even urge sleeping in with a head full of oil… the very thought of slick, stained pillows and greased up cheeks in the morning turns me off. Yet my hair is crying out for some serious TLC. All that hair coloring has stripped it of its natural moisture, and a regular hair conditioner is just not cutting it. Like a prayer answered, I was sent this bottle of WoMn Cosmetics Hair Moisturizer with Brahmi and Hibiscus Oil from my favorite local organic beauty brand Womn Cosmetics. But how am I to fit hair oiling sessions into my busy lifestyle? You have to keep the oil on your tresses for atleast 3 hours (and rookies do an all-nighter). I certainly can’t show up with a greasy, limp scalp at work, and this month is chockablock with post-work blogging events. Multi-Task: So you just got home after an 8 to 5 shift, dinner needs cooking, the kids have a school project demanding your attention, and WhatsApp is buzzing with weekend plan requests. What is a girl to do? Attend to yourself first. Cleanse off all that grime and makeup, slap on the hair oil and put on that Superwoman cape (aka a good old shower cap). Now, armed with an oily mane, get multi-tasking on everything else. Heck, even have your dinner with the shower cap on! Wash and rinse under the shower before bed, You’ll sleep like a baby, and rest assured you gave your mane a good 3 to 5 hours of much needed moisturizing. You’re welcome. Work That Look: Sure an oily mane is not high on the fashion quotient, but a few clever combing tricks can actually give you the confidence to walk out of the house with oil on your head. If you can brave it, you can clock in so many more hours of oiled hair and your tresses will thank you for it. The simplest, classiest example is the slick high ponytail a la Kim Kardashian. Pony on Slick: It’s the ends of the hair that get the driest. You don’t always need to oil a whole head of hair. Just concentrate on the ends, or the entire ponytail. Keeping oil off the scalp will keep the hair from looking limp, hence making it wearable outside the confines of the house. Hair Workout: Sometimes you just don’t have that many hours to allow your hair to soak up with all those magnificent oils. I find a good, strenuous workout does wonders. As you sweat it out with oil on the hair, the hair and scalp get a double dose of moisturizing and a healthy blood flow in a far shorter time span. Sleep with it: This may sound real icky, but it isn’t all that bad. I tried this with a shower cap on, but it slips off in the middle of my slumber. Your best bet is to tie up your hair in a high bun, and sleep on an old pillowcase. Warn your partner in advance. Have a shower first thing in the morning, and wake up to gorgeous, well hydrated hair. I am taking on the Hair Oiling Challenge! I aim to oil my hair atleast 3 times a week with one of the sneak tips above. For the longest time, I’ve been using extra virgin coconut oil, which I heat up slightly before application. But the WoMn Cosmetics Hair Moisturizer is even better as it is based on macerated coconut oil, but also contains the hair transforming abilities of a number of other oils. A beautiful blend of natural oils including ancient Indian Brahmi oil and floral Hibiscus oil. A little goes a long way. For my mid-length hair, I use approximately 2 tablespoons for hair and scalp combined. Not particularly greasy or messy when compared to other oils I’ve used in the past. Safe to use by the entire family, including children. “Pre-wash hair treatment with genuine Brahmi and Hibiscus macerated coconut oil for treatment of dry and devitalized hair. Coconut oil from our product penetrate the hair structure saturating it from inside. This prevents hair from swelling and hair scales form opening in contact with water resulting in smoother, shinier hair less prone to drying, frizziness and damage. Further on, brahmi and hibiscus enhance blood circulation around hair roots and have antifungal effects and keeps your scalp healthy and less prone to dandruff.” – Womn Cosmetics website. The WoMn Cosmetics Hair Conditioner retails for AED 100 for a 200ml bottle, and can be bought online from the brand’s website. 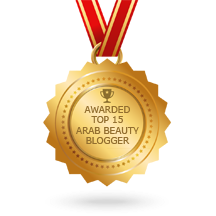 Posted in Beauty, Product Reviews and tagged hair care, hair oiling, natural beauty, organic, organic beauty, WoMn Cosmetics. Bookmark the permalink. Then you must give me tips! What oils do you use? I love coconut and almond oil too, but never tried castor oil on my hair! I’ve heard it has hair regrowth properties, thanks for the tip I’ll surely try it!